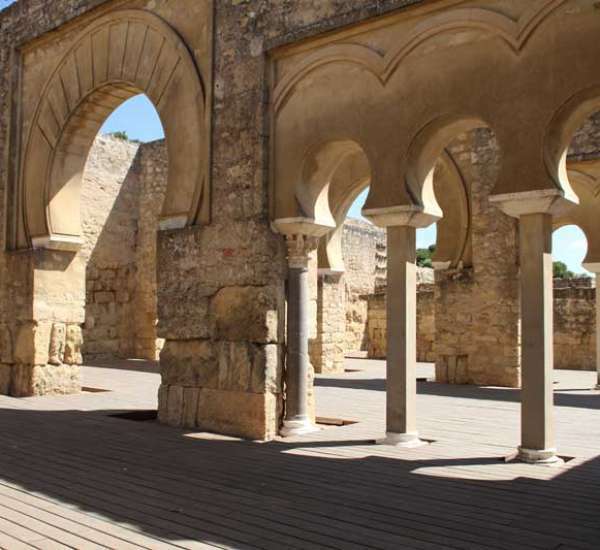 A trip to discover Andalusia’s millenary heritage. "Treasures of Andalusia" Experience is a journey through the cultures that have formed Spain’s history. Jews, Arabs and Christians left their mark not only on their magnificent monuments, but also on people’s traditions and way of life. Rusticae has created a route to discover in a privileged way the most important monuments of Seville, Granada, Úbeda, Baeza and Córdoba: the Alhambra, the Mosque, La Giralda, Medina-Azahara and much more ... always escorted by the best guides along private visits. In addition, this route includes a truly unique experience: staying in an authentic Spanish Fighting Bull raising ranch, set on 300 ha of the most beautiful mountain landscape and pastures, which you can tour in 4x4 and / or on horseback to contemplate that noble animal’s beauty. Gastronomy, nature, culture, tradition, in a unique circuit to unveil Andalusia’s secrets. Rusticae has the right to replace hotels and activities with others of similar characteristics due to availability or weather conditions. Access to "El Añadío" goes through a 5 miles dirt road.